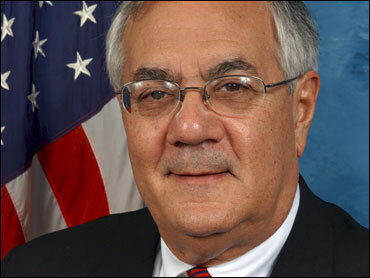 I was very pleased to hear from you and learn of the work you are doing with the Stonewall Democrats. 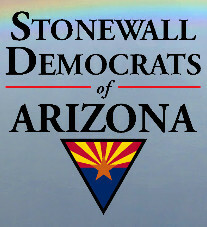 I am very proud of my role in helping form the organization years ago, and while we have made great progress in getting legislation adopted that is supportive of LGBT legal equality, and of integrating full support for those efforts into the Democratic Party, there is still a role to be played by a Stonewall Democratic organization, particularly in states where political change is in process-and Arizona is as we discussed, a prime example of that. As we have achieved our goals in some parts of the country, for example, full protection against job discrimination, recognition of our right to marry, and full integration of proud LGBT people into our armed forces, it has become clear that opposition to our being treated on an equal basis with our fellow citizens has no justification other than prejudice. That is, all of the predictions that have been made over the years that ending legal discrimination based on sexual orientation or gender identity will lead to social disruption, or intrusion into the lives of the straight majority, have been conclusively disproven by the results when such measures have been adopted. This makes the present a good time for LGBT people and our allies to press our case. I am confident that the people of Arizona will join those in many other states in recognizing that the past practices of discrimination have no legitimate basis, and working through the Democratic Party by means of a Stonewall Democratic organization is one very good way to accomplish this. I look forward to joining you at an event sometime in the near future. In the meantime, I wish you very well in your efforts which I am confident will be successful.